The Supreme Court of India has reportedly issued notices to Google and Twitter, in reference to the public interest litigation petition filed against the Internet behemoths over data privacy concerns by Pallav Mongia, an Advocate-on-Record at the Supreme Court. The petition, according to sources, has raised concerns about the lack of control over data sharing with cross-border corporate entities, which could potentially be a violation of the Indian citizens’ right to privacy. Data privacy is increasingly becoming an area of concern in the country, with giants like Facebook, WhatsApp, and Monster India also being inspected for allegedly sharing user data with third-party entities. The notice has been issued by a constitution bench of the Supreme Court formed by Chief Justice Dipak Misra and Justices AK Sikri, Amitava Roy, AM Khanwilkar, and M Shantanagoudar. As part of the notice, the country’s highest judicial body, Supreme Court, has asked Google and Twitter to share their legal views on the matter. The petitioner is being represented by senior advocate Mahesh Jethmalani, advocates Ravi Sharma, Abhinav Goyal, Pankaj Kumar Singh, and Gunjan Mangla. In his petition to the Supreme Court, Mongia has also challenged the constitutional validity of the Information Technology (Reasonable security practices and procedures and sensitive personal data or information) Rules, 2011 (Privacy Rules) as well as the clarification dated 24 August 2011 issued by the Ministry of Communications and Information Technology. The petitioners have alleged that WhatsApp shared all its user data with Facebook post the merger, thus violating their right to privacy. Both WhatsApp and Facebook, however, have denied such allegations, stating that neither companies have shared any data with foreign entities. According to senior advocate Kapil Sibal, who is currently representing WhatsApp, the only information that the messenger app has shared with its holding company Facebook pertains to the user profile picture, device details, last access details, and phone numbers. As stated by Sibal, these details have been shared for commercial purposes aimed at displaying relevant ads and offers on Facebook. Both companies have promised to submit affidavits, in order to help the court decide whether the case requires immediate intervention. As per reports, further hearing of the WhatsApp and Facebook cases are scheduled for November 20. The Supreme Court has also ordered an additional hearing for the Google/Twitter case on the same day. Is Monster India Selling User Data To Third Parties? Apart from Google, Twitter, WhatsApp, and Facebook, another company that is being scrutinised for suspected data privacy violation is US-based job portal Monster.com. Recently, a trial court ordered a probe against Monster India on charges of selling data of Indian users to third-party entities. According to Naresh Kumar Laka, Chief Metropolitan Magistrate (East) at Karkardooma District Court, right to privacy dictates that online companies cannot share personal information of users with third-party entities without their “informed consent”. Alleging that Monster India has been unlawfully selling user data to a third party company that has, in turn, duped thousands of job seekers, the court has instructed the police to conduct a thorough probe into the portal. “It is common knowledge that when a person applies for a job on the internet, s/he feeds personal information which includes name, address, and mobile number. In my opinion, the said data being personal information cannot be transferred/shared/sold to some third person without the consent of the said person,” the court said. Monster India, however, has dismissed all data privacy breach accusations, defending its decision to sell data to a third-party company as lawful. According to the spokesperson from Monster India, its contract with the company in question was based on the acceptance of agreement between the portal and the job seekers using the platform. That is the main takeaway from the historic judgment made by the Supreme Court of India (SCI) in relation to the recent Justice K.S. Puttaswamy (Retd.) Vs Union of India case. The country’s highest judicial forum overruled the eight-judge bench judgment in the MP Sharma case and six-judge bench judgment in Kharak Singh case, both of which had ruled that privacy is not a Fundamental Right. The ruling is based on an array of petitions that challenge the mandatory use of Aadhaar. Petitioners say that enforcing the use of Aadhaar, which assigns a unique 12-digit ID to every citizen, is an infringement of privacy. They also stressed that the Aadhaar database was originally presented as a purely voluntary programme that offered to provide every Indian with an identity card. However, the current government has been moving in the direction to make biometric-based Aadhaar mandatory for availing various benefits under various social welfare schemes. 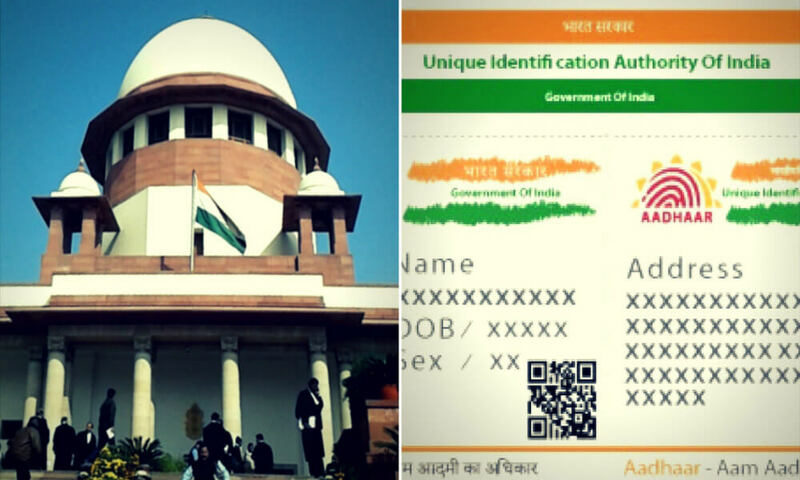 Post this judgment, a five-judge bench of the apex court has been entrusted with the task of testing the validity of Aadhaar from the aspect of privacy as a Fundamental Right. Is Data Sharing To Third Parties A Breach Of User Data Privacy? “At present, Indian legal regime neither mandates data localisation by the foreign body corporates nor does it regulate how the information shared by Indian users is handled by such foreign body corporates, leaving Indian users vulnerable to privacy violations and giving them no control on how such data is to be used by such foreign body corporates,” clarified CriTaxCorp founder Kanishk Agarwal. In the last few years, many companies have come under the fire for infringing data privacy. In July this year, Delhi-based eyewear platform Lenskart got into trouble on social media for sending unsolicited SMSes to users offering discounts and promotions. Some of these users pointed out that they were being bombarded with these SMSes despite being registered on the national ‘Do Not Call’ registry. In June 2016, the United States government’s Federal Trade Commission fined mobile advertising company InMobi $950,000 in civil penalties on charges of deceptively tracking the locations of hundreds of millions of consumers, including children, without their knowledge or consent to serve them geo-targeted advertising. As per the complaint, InMobi was actually tracking consumers’ locations whether or not the apps using InMobi’s software asked for consumers’ permission to do so, and even when consumers had denied permission to access their location information. A year prior to that, San Francisco and Gurugram based cross-device retargeting company SilverPush was accused of privacy breach in the US. According to sources, the violation took place through the company’s technology which enables users to connect their smartphones to television sets, as a way of tracking the effectiveness of an advertisement or the performance of a program. Data sharing with cross-border companies is another major area of concern that the Indian government is currently looking into. The Ministry of Electronics and Information Technology has reportedly doubled down on its scrutiny of China-based smartphone makers allegedly involved in cross-border data leakage. The governing body has directed as many as 30 mobile phone manufacturers operating in the country, majority of them Chinese, to share the details of their security processes pertaining to user identity theft protection. Among the companies that the governing body has sent notices to over identity theft protection concerns, are global players Apple and Samsung, as well as home-bred Micromax. The list also includes a number of Chinese smartphone makers such as Oppo, Vivo, Xiaomi, Lenovo and Gionee. 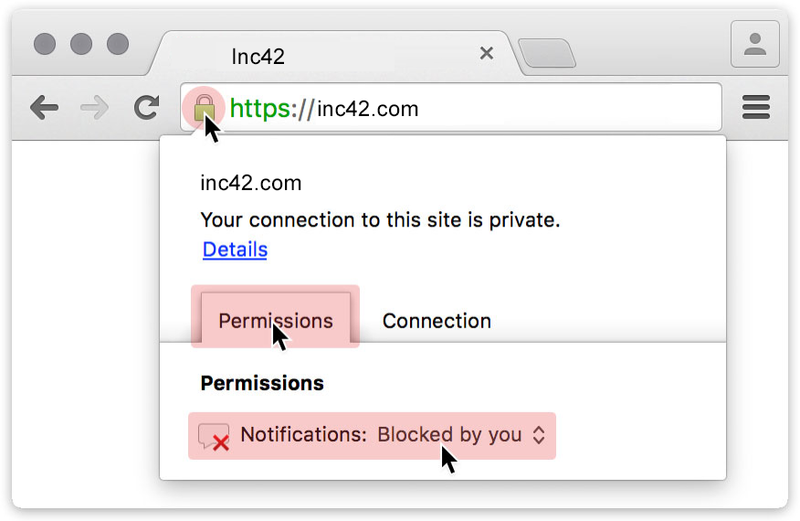 The browser, it has been alleged, retains control of the DNS of the user’s device even after the app has been uninstalled. According to the complaint, the application might be sending information about Indian users to China. If proven guilty of data privacy breach, the company could run the risk of getting banned in the country. We have all heard of the adage, “With great power comes great responsibility.” This is especially pertinent in today’s world, where a click of a button can very well change the course of someone’s life. Given that more than 2.5 quintillion bytes of data are consumed every day in the form of emails, videos, images, tweets, and content, the risk of privacy breaches has understandably increased at an alarming rate. While the Supreme Court is becoming increasingly vigilant when it comes to ensuring the citizen’s right to privacy, the government seems divided on the issue, especially after the onslaught against Aadhaar. With big players like WhatsApp, Facebook, Twitter, Google, and Monster also facing the heat, the country is hopefully moving towards a more efficient and proactive legal system that strikes down on all instances of data privacy infringement.